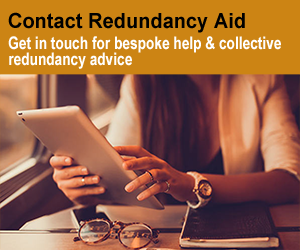 As with redundancy pay, when it comes to redundancy notice there is a statutory minimum period that your employer must pay you if you are being made redundant. You could be contractually entitled to more, but they cannot give shorter notice. The notice period you are given before redundancy should correspond with your pay for that period; you will often be expected to work throughout that period and should be paid your normal wage. In many cases if your employer is insolvent, or in administration, you won’t get to work your notice period or receive your notice pay, you may even be dismissed very early in the process by the administrator. 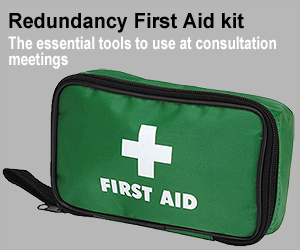 If this happens to you, you can make a statutory claim from the Redundancy Payment Service (RPS), although payments are capped at a maximum of £489 per week. This works differently to redundancy pay in that you can only claim at the end of the notice period (set out in the section above). You need to fill in an RP2 form, which will be sent to you automatically if you submitted an RP1 form, to make this claim. It is advisable to claim job seekers allowance, universal credit and any other state benefits you are entitled to whilst you are unemployed, as you are required to minimise your losses. You will only get paid statutory notice pay less any earnings you have received (if you got another job in the relevant notice time period or received benefits). If you do not claim your state benefits they will still be deducted from any payment made by the RPS, even though you haven’t had them! The alternative is known as pay in lieu of notice; where your employer does not require you to work out your actual contractual or statutory notice period. Effectively you are being given a payment instead of notice. This in effect means that your contract has ended without you receiving any notice, but you have been financially placed in exactly the same position, for this to be true you will need to have received all the basic pay you would have received in your notice period. If there is payment in lieu of notice clause in your contract this should cover all your entitlements, if not then you are entitled to receive your full basic pay, plus a compensation payment to cover any other benefits like pensions, car allowances etc.